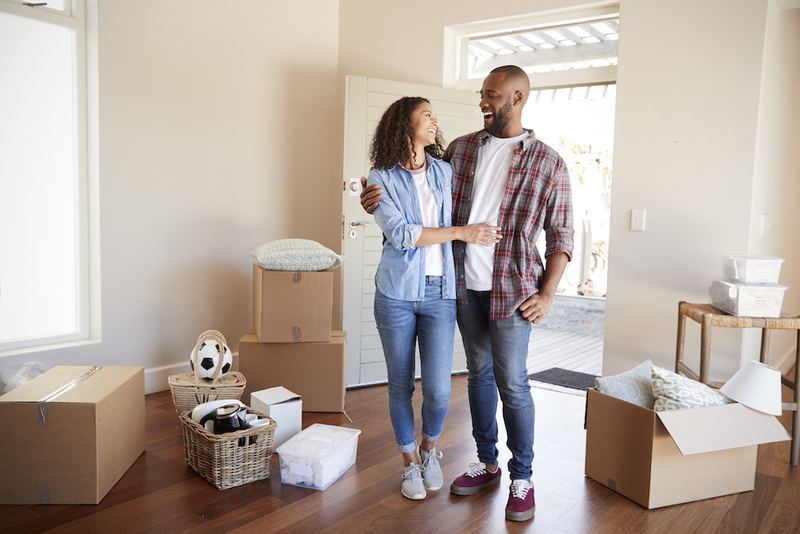 In a multi-part series on its economics blog, researchers at the Federal Reserve Bank of New York broke down some misconceptions related to first-time homebuyers. Some of their findings offer a new perspective on this crucial group of Americans and the housing market at large. “There is considerable policy focus on first-time homebuyers. Yet, to date we do not have an accurate measure of first-time buyers,” the authors conclude. Instead, Lee and Tracy used the Fed’s own data from its Consumer Credit Panel (CCP), derived from a random but statistically representative sample of Equifax credit profiles, to get a more accurate handle on the size of the first-time buyer market. In their analysis, the economists found no significant decline in the share of first-timers relative to the entire purchase market between 2000 and 2017. 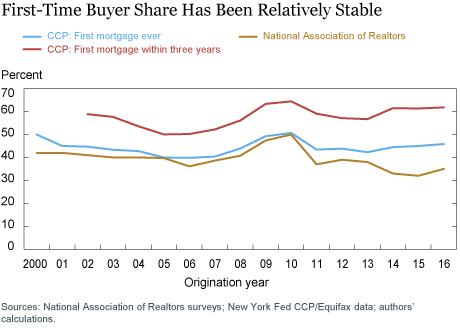 According to reports from NAR, however, the share of first-time buyers has been slipping in recent years, while NY Fed data show that it has grown almost every year since 2011. Compared to the CCP numbers, Lee and Tracy argued that NAR is underestimating the size of the first-time buyer market by around 11 percent as of 2016. Therefore, while NAR pegged this share below 40 percent in 2016, Lee and Tracy said it was approaching 50 percent at that time, and likely has grown since. In their second post on the topic, Lee and Tracy used CCP data to tackle more misunderstandings about the modern first-time homebuyer. For instance, they find that between 2000 and 2016, the average age of a first-time buyer decreased from about 38 years old to just over 35. This runs contrary to the idea that more young Americans are delaying homeownership compared to the recent past — although this downward trend briefly reversed in the years immediately following the housing crisis. Even the effects of student debt on first-time homebuyers may be overstated lately, while we may be underestimating its impact on older repeat buyers. Starting around 2003, the average student debt balance for a repeat buyer began growing much faster than for first-timers. As of 2016, the most recent year included in the report by Lee and Tracy, repeat buyers held more than $40,000 in student debt at the time of purchase, on average. Meanwhile, first-time buyers had an average student loan balance of less than $30,000. Of course, these figures included only buyers who reported any student debt at all when they bought a home, and repeat buyers presumably would have more income and assets to make up for it. Still, this could dispel another common conception of the typical first-time buyer. Are FHA, VA loans sustainable? Finally, in the third article on the topic, Lee and Tracy examined the sustainability of first-time homeownership in America. In other words, they asked whether certain programs like FHA and VA loans succeed at not only enabling the purchase of a first home, but also at allowing first-time buyers to maintain long-term ownership and avoid default. They even estimate how likely first-time buyers using these programs are to “graduate out” by refinancing into a better loan or moving into a new home using a conventional mortgage. After controlling for various factors like age, income and credit score, Lee and Tracy concluded that both FHA and VA loan programs are about equally sustainable for first-time buyers. However, both programs were found to be less sustainable than “conforming loans” that meet underwriting standards set by Fannie Mae and Freddie Mac, even after controlling for those same factors. Ultimately, first-time buyers in both programs appear to default, or even revert back to renting, more often than the same class of buyers in conforming mortgages. Lee and Tracy suspect that low down payment minimums for FHA and VA loan buyers may play a role here, potentially moving unsuitable borrowers into homes they can’t truly afford over a period of several years.